This photo reminds me of an album cover! 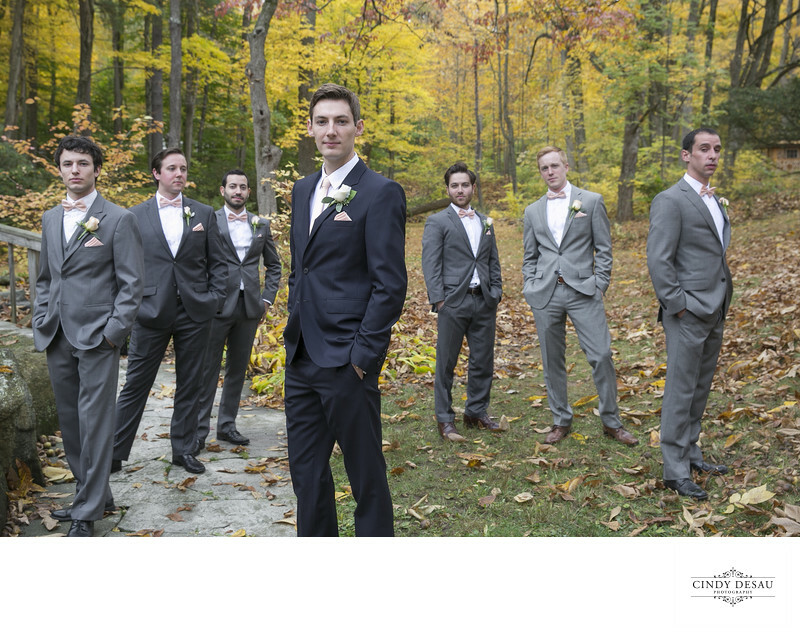 When I photograph the groom with his groomsmen on his wedding day, I like to make the poses interesting. One of the ways I do that is by turning them and not having everyone facing in the same direction. This adds visual interest to the photograph. In this shot they do have a common factor with their hands in their tux pockets. The groom of course is in the foreground and is the focal point of this wedding picture.